Discover why more retailers are choosing to go Cloud with Openbravo! Openbravo Commerce Cloud is a single-tenant Infrastructure-as-a-Service (IaaS) option that enables retailers to access all the features of our Openbravo Commerce Suite solution using the world-class cloud infrastructure of Amazon Web Services, while eliminating the need to buy, build and manage an IT infrastructure. This presentation will explain why Openbravo Commerce Cloud is the right choice for retailers who want to leverage the rich feature set of a fully-managed retail solution via the cloud, thus avoiding the investment and other IT overheads associated with traditional on-premise deployments, while enjoying the same level of support for uninterrupted sales operations in stores and guaranteed performance as in traditional solutions. 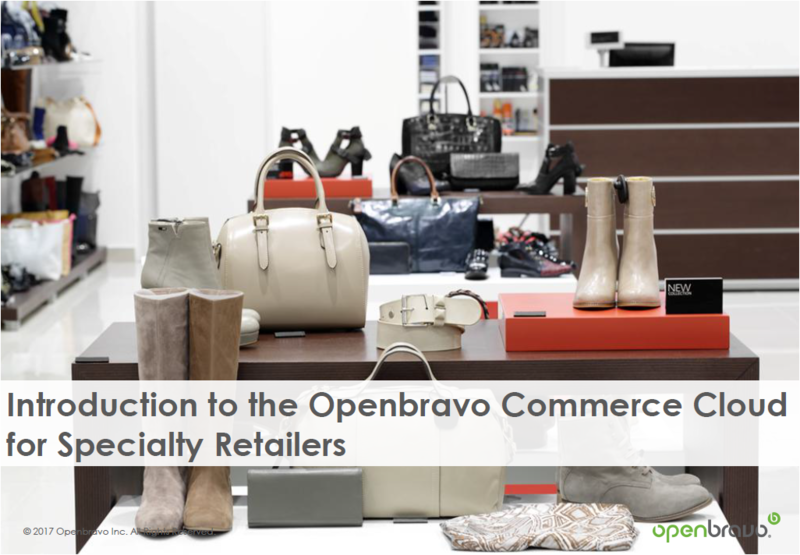 It will also highlight the main benefits and unique differentiators of the Openbravo Commerce Cloud for Specialty Retailers to gain a better understanding of the functional, technical and commercial aspects of this Cloud offering. We will also explain the migration strategy for new and existing Openbravo users interested in moving to the cloud.